Theodora Warre - Theodore Warre's polished gold-plated sterling silver necklace will bring an individual flourish to everyday looks. 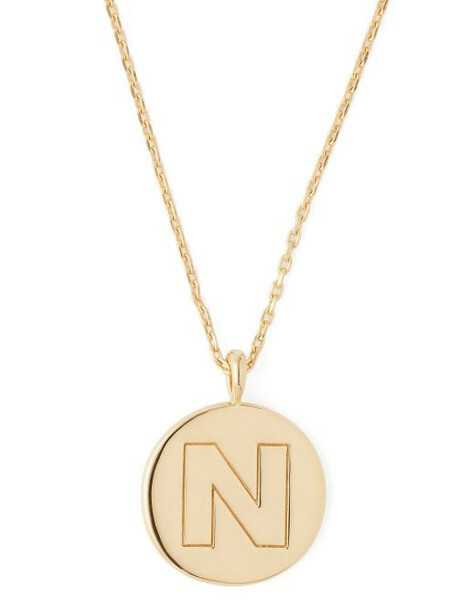 Suspended from a slender chain, it's crafted with a smooth disc charm engraved with the letter N and adorned with a glittering round-cut crystal on the back. Style it alongside muted-hued pieces for a feminine feel - think a simple shirtdress layered over jeans.